I recently read your Food Studies article on airplane food and I was wondering if you could answer a few questions for me. I am a journalism student at Boston University and I am writing a story about airplane food. I would appreciate it if you could tell me how it is made and what process it goes through before being served. It all depends on what type of airline catering facility is making the meals. Increasingly, more companies are using deep frozen meals which are made in factory settings (Without any real “chefs” involved). These meals are made just like a frozen entree you buy in the grocery store and heated up in the ovens on board. The other “fresh” elements on the tray are put together at catering facilities near the airport and transported directly to the aircraft 3 hours before the flight. I would highly recommend you take a look at “Flight Catering” by Peter Jones. He has detailed explanations of the processes of in-flight meal production. I can share some of my observations from my internship last year if you would like as well. 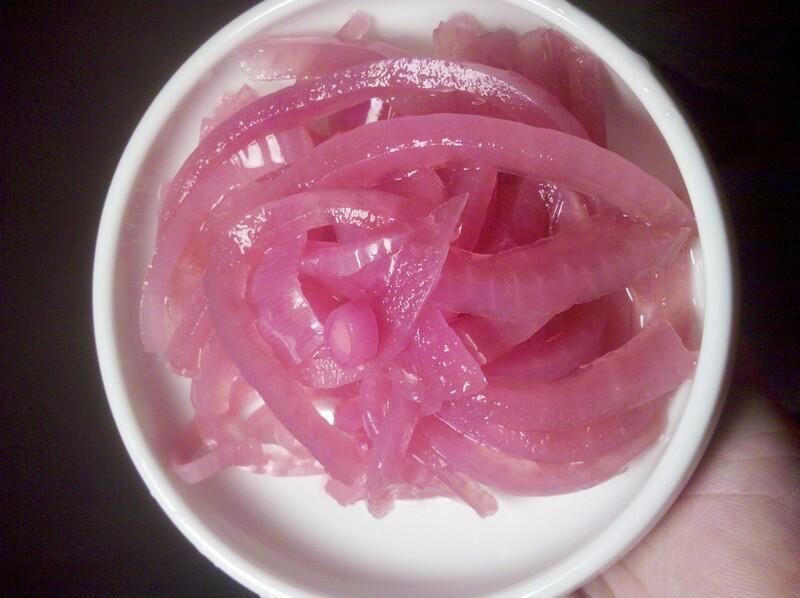 pickled onions are great on greasy sandwiches! How big was this saucepan? 2 quarts ish? I’m trying to estimate the cold water you added… maybe 1 cup? Nas, I used a 2 qt pot. 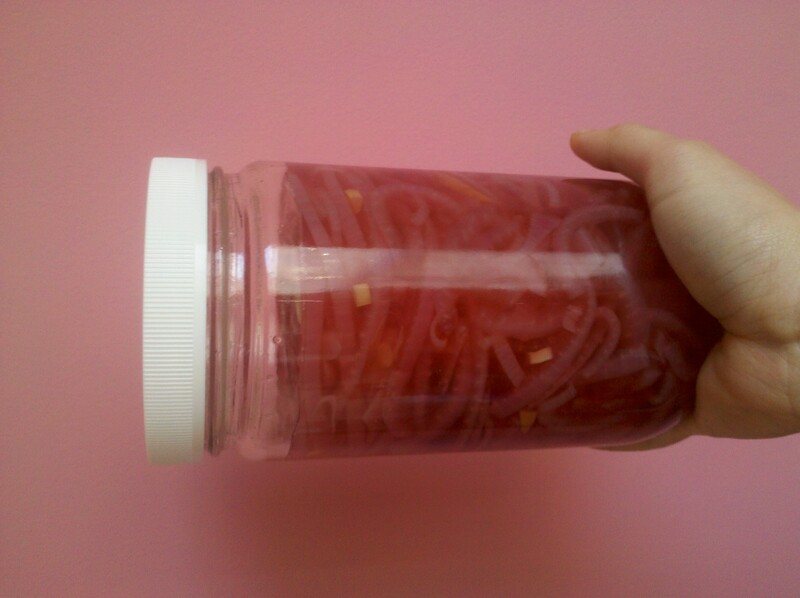 Also, I think you can use 2 medium red onions. I just had a HUGE one so I went with one. Also, just top off with cold water until the onions are covered…I think you can be a bit flexible with that…can’t wait for you to try it! it’s super simple! Tell me what you eat it with!